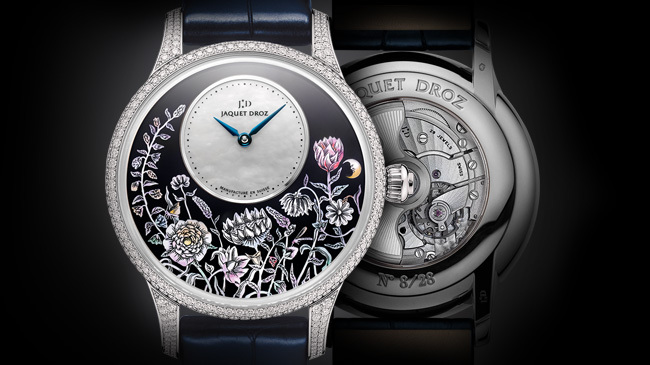 Celebrating the historic expertise at the core of Jaquet Droz for nearly three centuries, the Petite Heure Minute Thousand Year Lights is a decorative masterpiece dreamt up to celebrate the beauty of flowers… and the women for whom they are intended. At times, a single detail is all that is needed to mark an era – and the times to come. In dreaming up the Petite Heure Minute with an off-center subdial at 12 o'clock, the craftsmen of Jaquet Droz have awoken the spirit of Pierre Jaquet-Droz, infused with the richness of the Age of Enlightenment. More than merely being useful, the concept of Time becomes poetic, leaving the free space on the dial open for artists to express boundless creativity. A true master painting, the creation of the Petite Heure Minute saw the most stunning skills of the Jaquet Droz Ateliers d’Art come to life: enameling and miniature painting, by way of dazzling settings and astonishingly realistic sculpting and engraving. The craftsmen of the brand known by its twin stars looked to an ancestral Asian technique to create this enchantress version of the Petite Heure Minute. 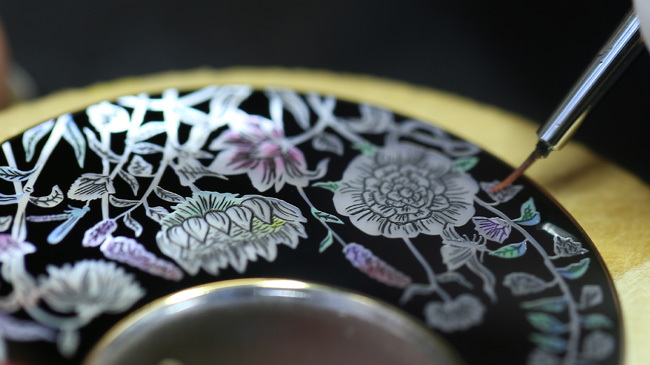 A flowery landscape in shimmering colors was inspired by the "Najeon Chilgi" method, which involves mother-of-pearl encrusted lacquer. Its golden age was during the Goryeo dynasty (10th-14th centuries), when aristocratic ladies would order sumptuous jewelry boxes requiring months of work. On the Petite Heure Minute Thousand Year Lights, the center of the 35 mm or 39 mm diameter case offers itself to the gaze of a pastoral bouquet. The ephemeral beauty of its wild and free flowers are frozen in place forevermore, brought to life in a display of sheer mastery. The richness of colors comes to light as their tenderness is revealed with a touch of intense red, while the silver glimmer of leaves goes hand in hand with minute details only made possible through the mother-of-pearl intaglio. The mother-of-pearl is first lacquered, then polished with great care. 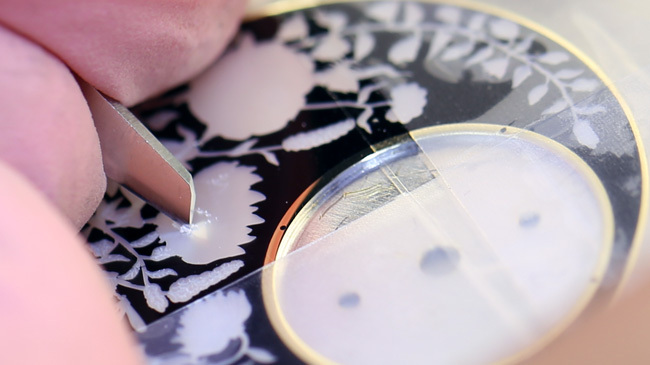 The craftsmen engravers then bring out the minute volumes through hand painting, imbuing these floral tableaux with incomparable shine and the mirror effect of light glistening upon them. Reinterpreted by Jaquet Droz, this ancestral technique brings out the brilliance and dazzle of the dial like never before, earning this exceptional piece its name: "Thousand Year Lights." With eminently feminine refinement, the Petite Heure Minute Thousand Year Lights is available in five versions, each limited to 28 pieces, in generous red or white gold cases, set with diamonds or without. Equipped with a 68-hour power reserve, this feat of pure elegance is presented on a black or deep blue alligator leather strap, evoking the mystery of the night sky. Additional enticement to dream or to roam free, meant for women who are lovers of beautiful objects, for whom the passage of Time is forever bound with enchantment.